photo-eye Gallery is pleased to announce an important opportunity to purchase Nick Brandt photographs while also making a donation to help protect the wildlife depicted in his images. Through January 31, 2011, 20% of all Nick Brandt photograph sales through photo-eye will go to the Big Life Foundation, started by Brandt in September 2010 to help conserve and protect East Africa’s endangered wildlife and ecosystems. Nick Brandt states below why your support is so important. Elephant Drinking, Amboseli, 2007. Killed by Poachers, 2009. 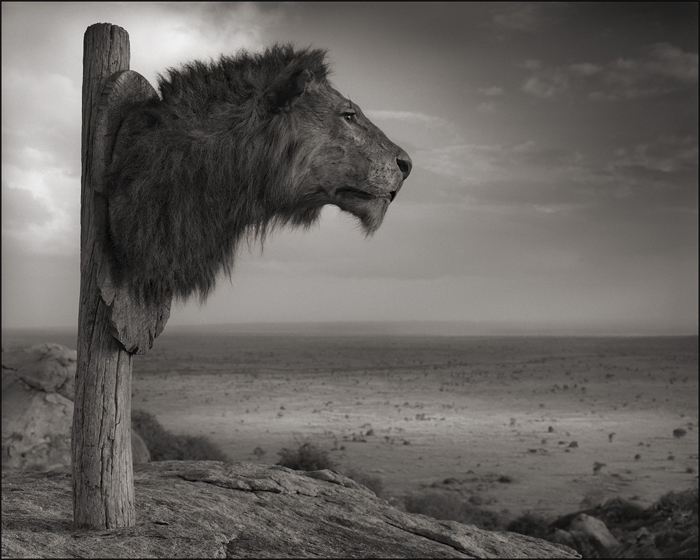 © Nick Brandt. The caption beneath the photograph above explains it all. In a very short space of time, most of the large-tusked elephants featured in my books have been killed by poachers for their ivory. Just in the last five months, many of Amboseli's last remaining amazing big bull elephants have been slaughtered. In the last few weeks alone, eight have been discovered killed, some with tusks so small you realize that none are safe any more. And these elephants are just the ones that we know about. Since 2008, there has been a huge increase in demand from China and the Far East for ivory, and as a result, elephants are being wiped out at an alarming rate. The numbers are apocalyptic: it's estimated that as many as 35,000 elephants are being poached a year, that's 10% of the entire population of Africa's elephants each year. As things currently stand, it's no longer a matter of if a big-tusked elephant is killed, but when. And it's not just elephants. The lions are being poisoned at an incredible rate too. It's become so bad that there are next to no lions left outside the national parks. Giraffes being killed at a faster rate for bush meat, and there are even contracts out on zebras, as their skins are the latest fad in Asia. - The Kenya Wildlife Service will also shortly receive another fully equipped Land Cruiser for a patrolling Wildlife Protection Unit of eight armed rangers. - A large network of informers on both sides of the border. This is critical to our success, and to preventing the killing of all species. - The co-purchase of a Microlight plane for monitoring and surveillance. But given the sheer level of poaching to suppress and overcome, and the size of the wilderness area we are protecting—over two million acres—we need to double the anti-poaching camps, with accompanying patrol vehicles and equipment. Once this level of infrastructure is in place—160 rangers and scouts in eighteen camps, with aerial support above, tracker dogs and informer network support on the ground—we feel that we will then radically reduce the poaching of ALL animals in this extraordinary ecosystem. It's a great start, but so much more is needed. We are operating with urgency because we know that we don't have time to wait. We're hoping that once we get the poaching under control in Amboseli, we can target the issues long term, and further afield across East Africa. There is so much to be done to protect some of Africa's most magnificent wild animals from being all but wiped out in the very near future. But we can only do this with financial support. Please help by donating to Big Life. Your support is crucial to our success and is greatly appreciated. If at this time you cannot support this important cause, perhaps you know someone who might be able to help. If so, please share this blog post with them. Many thanks for your time and consideration. Warm wishes for the holiday season! 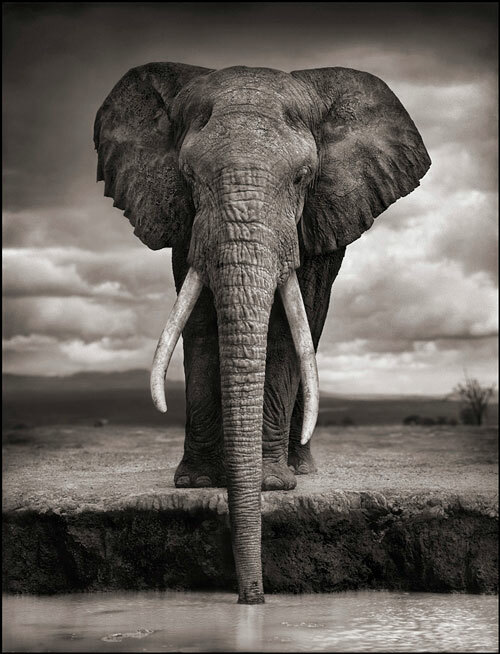 View Nick Brandt's images at photo-eye Gallery here. 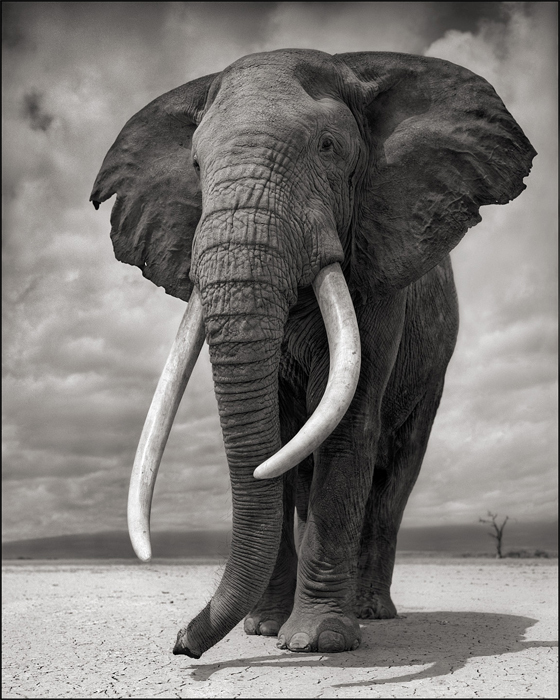 View books by Nick Brandt here.